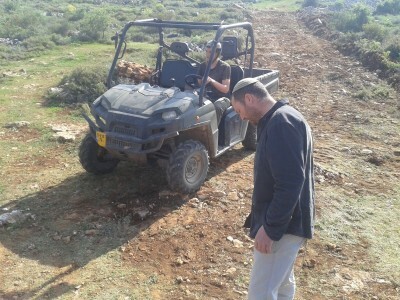 At 530pm on July 30th three settlers from the illegal settlement of Itamar violently attacked a farmer from the village of Aqraba, south east of Nablus. Four farmers from the village had spent the day grazing their more than 500 sheep on land belonging to the village, near to the settler only road dividing Aqraba. Ahmed Yousef Banijaber, one of the four farmers, was walking along a narrow dirt road with his sheep when he came face to face with three settlers in an outdoor utility vehicle. The settlers grabbed him and tried to pull him towards the vehicle at which point Ahmed pushed them away. 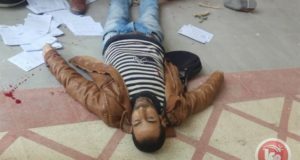 One settler then brandished a gun and began to shoot at Ahmed as he took cover behind an olive tree. The other three farmers nearby hearing the attack then ran to Ahmed’s aid. The settlers then attempted to drive away quickly from the scene and in doing so deliberately ran over some of Ahmed’s sheep, killing two and seriously injuring another. The settlers had first driven towards the other three farmers but did not approach them and instead choose to attack Ahmed as he was on his own. The land where the attack took place and where the farmers regularly graze their sheep belongs to the village and is classed as Area B therefore under Palestinian civil control and joint Israeli-Palestinian security control. The settlers had no reason for being in this area. The settlers that attacked Ahmed are well known to the villagers of Aqraba as they have attacked farmers on numerous occasions. When shown a photo of the settlers from the past spring Ahmed confirmed it was two of the settlers that had attacked them and said “they are the troublemakers”. 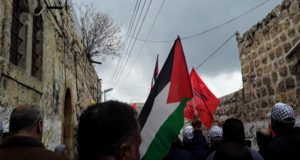 The Aqraba Municipality are making an official complaint to the Israeli Police against two of the settlers, though they remain skeptical that anything will come of this as settlers have impunity under Israeli law for crimes they commit against Palestinians. 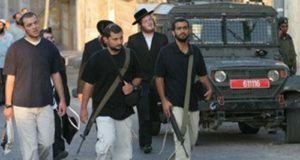 A 2012 report by Israeli human rights organization Yesh Din states that “less than nine percent of investigations of violent crimes committed by settlers against Palestinians ended in the filing of an indictment”. Two weeks prior to this, three farmers from Aqraba were arrested by the Israeli army for working at night on land near the settlement. The farmers had been requested to work on the land by the Israeli owner and were doing so at night because of the heat and Ramadan. The Israeli army found this suspicious and arrested the three farmers and took them to the police station in the illegal settlement of Ariel. The farmers were released a few days later without charge.